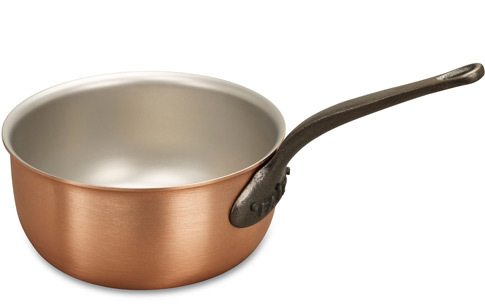 Copper Mousseline Pan This pan is made specifically for making mouseelines and creamy sauces in. You can stir away without the contents going over the edge and the heat control is amazing. Looks pretty too.